Police body cameras: Cops commit less violence and complaints are real. When police wear body cameras, citizens are much safer. A patrol officer in West Valley City, Utah, starts a body camera recording by pressing a button on his chest before he takes a theft report from a construction worker with his newly issued body camera, attached to the side of a pair of glasses, on March 2, 2015. The release this week of a shocking video depicting police officer Michael Slager shooting Walter Scott in the back, and then appearing to toss a Taser near his prone, handcuffed body, reignited a national discussion about police accountability and the reliability of officer narratives in police-involved shootings. In his initial radio call, Slager followed an all-too-familiar script. It is a script carefully designed to mirror the requirements of a self-defense exoneration, and its basic elements are well-known to police across the country: He struggled/reached for my gun/Taser/weapon. I feared for my safety. I thought my life was in danger. The video from North Charleston, South Carolina, clearly shows an event inconsistent with Slager’s claims, and he was quickly arrested and charged with murder. But there is a lesson in previous cases of police brutality, such as the failure to prosecute the police who were recorded asphyxiating Eric Garner and the initial acquittal of the officers in the Rodney King beating: Even in the face of seemingly incontrovertible video evidence, this blame-the-perpetrator defense regularly works for police officers. The difficulty in indicting and convicting police officers illuminates an uncomfortable truth of the criminal justice system: There is an enormous divide in the standards of justice we apply to cops as opposed to all other citizens. To bridge that divide, and help bring more accountability to the system, Police Chief Eddie Driggers of North Charleston suggested the very solution a federal judge has demanded of the New York Police Department, and that President Obama has committed to spending a quarter-billion dollars on: body cameras. The theory behind the use of body cameras is that video evidence will provide us with some objective truth about what happens in violent encounters between civilians and police. But that is the wrong way to look at it. As the tapes of King’s beating and Garner’s death make clear, video evidence can be very powerful but still not overcome the vast structural advantages enjoyed by the police in the legal system. The real value in body cameras is not what they show, but rather what they don’t. That’s because the presence of cameras induces an absence of violence. The central study on the effectiveness of body cameras comes from an experiment in Rialto, California. 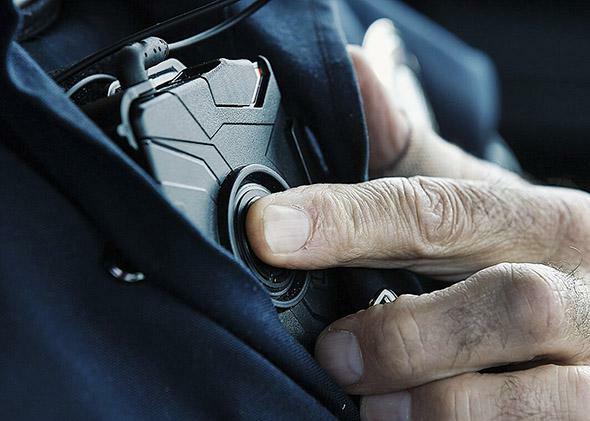 The results were dramatic: After the wholesale adoption of body cameras, complaints against officers dropped 88 percent and use-of-force reports fell by 60 percent. In a randomly assigned pilot project in Mesa, Arizona, 75 percent fewer use-of-force complaints were filed against officers who wore the cameras than against those who did not. The most important part of the research was the strong correlation between the decline in the use of force and the decline in complaints about the use of force. This correlation makes it clear that people aren’t complaining about police abuse at random; citizens aren’t just making these grievances up. Thus for the first time, these numbers can give us a sense of just how often citizen complaints are legitimate, and they finally allow us to measure the effectiveness of our mechanisms for police oversight and accountability. The Mesa and Rialto studies suggest that when the police don’t engage in abuse, citizens don’t in fact report it. That means it’s reasonable to conclude that a substantial majority of the public’s complaints about police brutality are legitimate, or at a very minimum grounded in the kind of behavior that the police simply wouldn’t engage in with body cameras present. And if we can now say with some certainty that the bulk of these citizen complaints are grounded in behavior the police would, if watched, not engage in, then we finally have some yardstick by which to measure the structural injustices of the system, or at least how often the legitimate complaints of citizens are dismissed in favor of the self-justification of the police. In 2013 the Civilian Complaint Review Board in New York City received more than 5,000 complaints of excessive use of force, totaling 11,334 allegations. (Sometimes multiple officers were involved). Of those allegations, 189 were substantiated in a process that took an average of 450 days to complete. Worse, the substantiation of a complaint of excessive use of force did not by any means ensure that a police officer would actually be punished. On the contrary, slightly more than half of the police officers against whom cases were substantiated were administratively charged, and a verbal reprimand was the most common punishment. While the data from the body camera studies suggests that a significant majority of police abuse complaints have merit, the current system makes the chance that an officer will experience any real repercussions from using excessive force against a civilian less than one half of 1 percent. So is it any wonder that Officer Slager, who had two prior complaints against him, one alleging excessive force for unjustified Tasing, was reportedly exonerated in the violent incident and still on the force when he killed Walter Scott? Given the utter lack of accountability, it is no wonder that police violence is endemic. But if implemented properly, body cameras can change that, not so much through recording bad behavior, but just by being present and thus preventing it. Unfortunately, there are major impediments to deploying body cameras. In the wake of Garner’s death, Patrick Lynch, the head of New York City’s Patrolmen’s Benevolent Association, criticized the the man who videotaped the incident, claiming he was “demonizing the good work of police officers.” So it is no surprise that Lynch has also insisted that “there is simply no need to equip patrol officers with body cams.” And in Miami, the police union claims that the devices could place “the lives of the public and the officers in danger” and “distract officers from their duties, and hamper their ability to act and react in dangerous situations.” Across the country, police unions have been the biggest obstacle to the deployment of body cameras. It’s pretty easy to understand why the police unions don’t want their members watched: Between objective evidence of encounters that do happen, and the huge decline in brutality that is deterred by the very presence of cameras, all of a sudden, the system might just become a lot more fair. And when you’re the party in power, and the system is already stacked wildly in your favor, fairness may be the last thing you want. Nonetheless, as video after amateur video begins to contradict law enforcement’s well-established get-out-out-jail-free mantra, not only will citizens become more skeptical of officers’ stories, but the demand for real accountability will make the widespread deployment of body cameras all but inevitable. The irony of course, is that the most salutary effects of that deployment will never be caught on tape.